RESEARCH METHODS FOR GENERALIST SOCIAL WORK provides a clear, down-to-earth introduction to the concepts of research methodology. 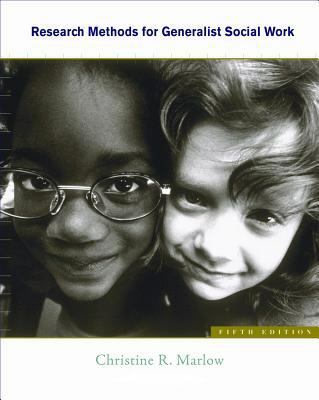 Marlow's accessible research methods text consistently demonstrates the link between social work research and generalist social work practice, making the methodology easy to grasp. The text helps you discover the relevance of research to social work practitioners.